Last week we presented the list of the investment intermediaries who realized the biggest number of transactions in 2007. Today we are listing them in terms of turnover. Raiffeissen Bulgaria and EIBank ranked first with figures topping 4 bln leva. They are followed by Bulbrokers and UniCredit Bulbank, which reported 1.57 bln leva (802.72 mln euros) and 1.354 bln leva (692.2 mln euros), respectively. There were a total of 250 trade sessions on BSE last year. The bourse's annual turnover came to 9.946 bln leva (5.085 bln euros), which is an average of 39.78 mln leva (20.340 mln euros) per day. The number of transactions in 2007 grew to 490,551 (1,962 on average per day). 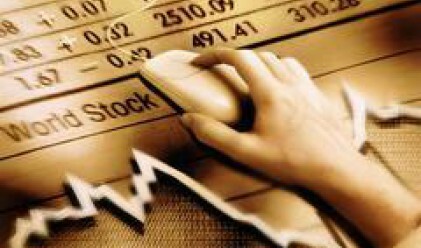 1.11 bln shares changed hands during the year, or 4.443 mln shares daily. In 2006 the number of transactions stood at 213,600 and turnover was at 3.384 bln leva (1.730 bln euros). According to statistics, the average daily figures were 857.83 deals (in 249 trade sessions) worth 13.59 mln leva (6.948 mln euros) on average. The only intermediary to break the 1 bln leva benchmark level in turnover in 2006 was Bulbrokers, which reported 1.746 bln leva (892.7 mln euros). Next in 2006 were FFBH and HVB Biochim with 658 mln leva and 605 mln leva, respectively. EIBank and Beta Corp ranked immediately behind them.